And way cheaper than a Subaru BRZ. There’s really nothing else quite like the new Kia Stinger, specifically for the price. It’s a rear-wheel-drive sportback sedan with genuine performance suspension tuning and killer good looks. Not bad at all for something that can cost as little as $299 a month to lease. Cars Direct did some digging around and learned that Kia is indeed offering a $299/month lease for 36 months on a new Stinger powered by the 2.0-liter turbo four with 255 hp and RWD. That’s a solid deal considering the base Stinger typically carries a base price of $32,800. But how does that $299/month compare to other RWD vehicles? 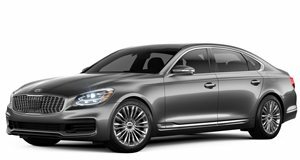 For starters, immediately rule out the likes of the Porsche Panamera, Audi A5 sportback and A7. Not everyone can afford those German-built cruise missiles. This Stinger lease deal, as it turns out, is $7/month cheaper than a 2018 Chevrolet Camaro LT Turbo lease. Heck, the Kia lease even allows up to 12,000 miles per year while Chevrolet allows 10,000. Another interesting price comparison is the Subaru BRZ, without a doubt one of the most expensive cars to lease based on its sticker price. 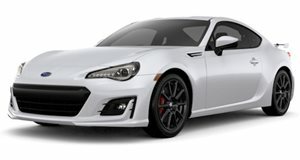 Subaru is offering $345/month for 36 months on a new 2018 BRZ - $26/month more than the Stinger. Yes, the Stinger is a sedan and the BRZ is a coupe. We clearly get that. But the BRZ’s whopping monthly lease price is exactly that. For less money, you can get a RWD sporty sedan that can fit the entire family for less. But what about another RWD coupe? Say the Camaro’s great rival, the Ford Mustang. Cars Direct noted that, at least in California, a new Mustang can be leased from $279/month for 36 months, or $20/month less than the Stinger. 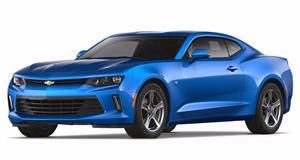 Of course different parts of the US sometimes offer different prices, but this Stinger offer is nationwide.